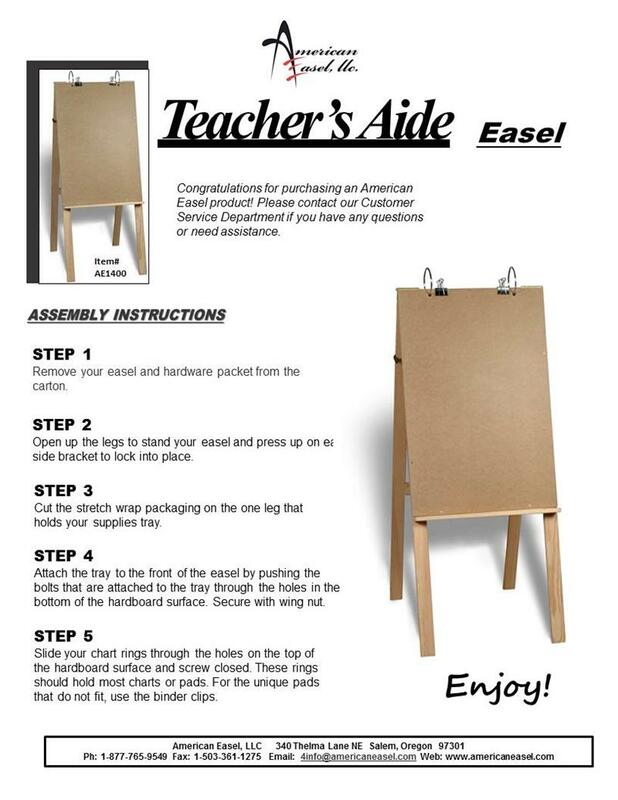 This Teacher's Aide easel will help display any chart you like. 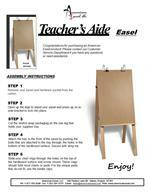 With the 4" rings set 14" apart or the 2" large capacity binder clips you can display single sheets, charts or tablets. 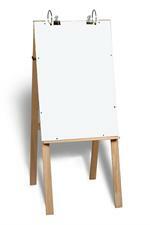 24" x 36" hardboard surface. 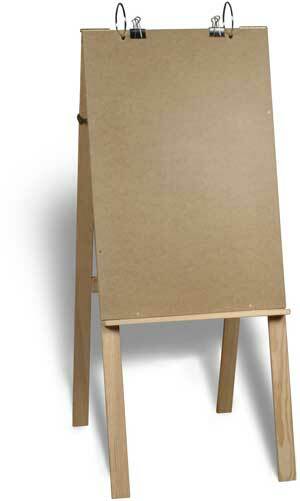 Manufactured from clear natural fir. Weight 22 lbs ~ Carton dimentions 60"x26"x3"